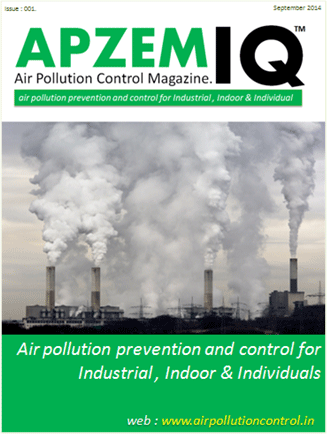 Air pollution is a group one carcinogenic and affects adversely on human health, Apzem-IQ is first of its kind magazine brings you all bits and pieces of information about Air pollution sources, its health effects, and control measures. Covering Industry, Indoor & Individuals and Its totally free. Subscribe today to have a first look on our magazine when we launch this fall.